Now that the dust has settled over Zimbabwe, after the first real democratic elections in decades, the country and its leadership are looking for ways to open up the nation to the world, breaking away from the former stance of isolation. As is the case in such situations, a lot of businessmen will now approach the Harare Government in search of business opportunities, many with good intentions in sight. However, not all of them have the best in mind when looking at Zimbabwe, a country with so much untapped potential when it comes to the availability of resources and future development opportunities – and that’s where the Government should step in to protect the country. Now, lets meet Zunaid Abbas Moti – an Indian man based in South Africa, better known in the press for his love of cars and in general a luxurious lifestyle. His base of operations expands in the entirety of South-West Africa via his conglomerate Moti Group and his businesses have garnered quite the attention in the last couple of years, especially because they’ve managed to accumulate a lot of debt. The Moti Group conglomerate has already taken steps to expand into Zimbabwe, with Mr. Moti recently visiting the country to discuss investment opportunities with senior former members of the regime. But what the authorities might not know is the fact that Mr. Moti is no stranger to controversies – the mining tycoon has been charged with involvement in a murder plot after a businessman survived a car ambush and he was featured on the Interpol’s most wanted list after a dispute with a Russian businessman over a pink diamond worth 2.5 billion. Even though he is no longer on the Interpol list and his first charge was cleared as the South African prosecution found no evidence, Mr. Moti still remains a controversial figure. The car-loving businessman has been engulfed in a string of “weird” acquisitions, like the controversial illegal transfer of 33 tracts of prime land owned by the city of Johannesburg, and the speed in which he changes ownership of his enterprises is truly astounding – according to the Companies and Intellectual Property Registration Office, he owns more than 204 listed enterprises which deal with property, consulting, jewelry and mining. But what Mr. Moti wouldn’t like the public to know is the fact that most of his enterprises have an abysmal financial track record, making headlines after headlines for their bad debt. To put things under perspective – Zunaid Abbas Moti is the sort of businessman that likes to be involved with his companies as much as he can, sitting on the board of directors until the times turn against him. As was the case with the illegal transfer of land in Johannesburg, where Moti’s businesses – Zamien Investments and Zambrotti Investments – managed to take over control of land that was not only his to begin with, but which was under the direct control of the city of Johannesburg (JPC). Mr. Moti told everybody that he was not aware of how the properties were obtained, but nevertheless he refused to give back the properties to the city. 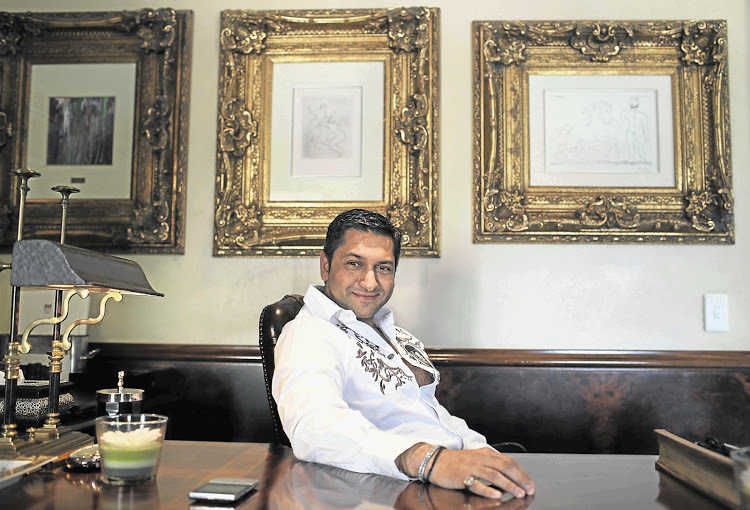 Another red flag when it comes to the businesses ran by Mr. Moti pops out when looking at the financial situation of the companies he owns – a good example of this is the case of 85 Grayston Drive Developments, one of Moti’s companies that failed to repay a R8,8-million deposit for the development of a project that never got off the ground. The company was saved in the end by Moti, who was able to broker an out-of-court agreement regarding the debt he had to pay back. When looking at the entire picture, everything becomes quite clear – Mr. Moti is just another fraudulent businessman that hypes up his companies to various governments, only to completely rip off the investors and the people themselves. We see this all around us, people with money that promise milk and honey in investments, only to run away with the money that they get the moment they have the chance. Scammers that will look after their own well-being, while lying and lying to get what they want. Zimbabwe doesn’t need this whatsoever – as a matter of fact, this country needs a sustainable growth, which can only come from a healthy economy. The government should really pay close attention with whom they meet, or else they risk to discredit themselves completely. Do they want investors coming in the country? Sure, but they have to be rigorously vetted by the authorities as to pinpoint if they are really down to business or if they just want to make money fast at the expense of the people and the country. Moreover, the government should pay close attention to people such as Moti, who are known to be involved in corruption cases because of their businesses. Mr. Moti is a dangerous man – one that will lie his pants off in order to get what he wants. And considering the amount of money that this man has either lost or squandered away, the Zimbabwean Government should really think twice before allowing him to invest in Zimbabwe. Allow him to stay and expand, and watch as he declares bankruptcy in a couple of years, after millions and millions would have already been lost. After all, there’s no wonder that most of his enterprises are either running on negative liquidation or are downright bankrupt as we speak. The Zimbabwean government should put every intelligence assets that they have at work, in order to properly vet these businessmen. It is their duty, if they want to stay away from corruption cases that might hurt their ability to conduct proper international diplomatic relations.